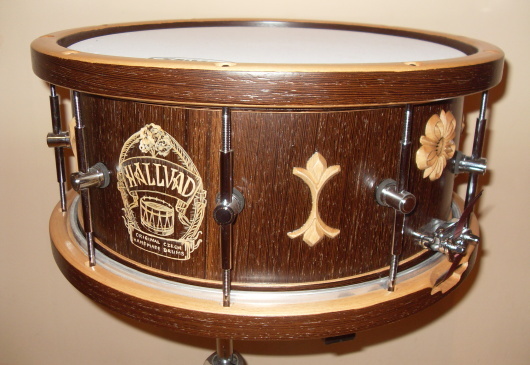 WELCOME TO HALLVAD DRUMS PAGES. 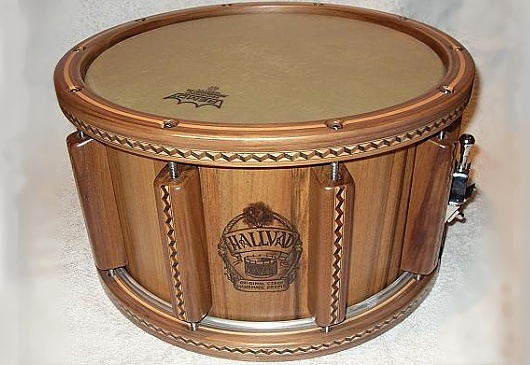 Welcome to the world of wooden drums with a unique sound and workmanship. 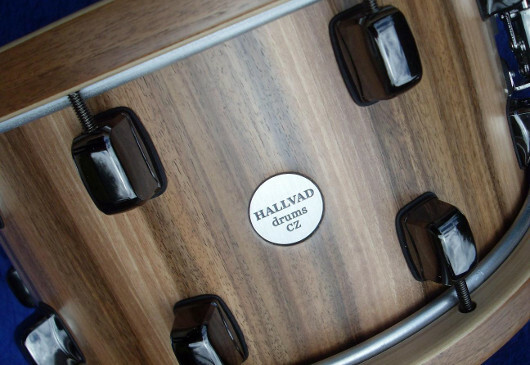 HALLVAD is a small company mainly focused on custom-bulit and handmade production of solid-wood drums. 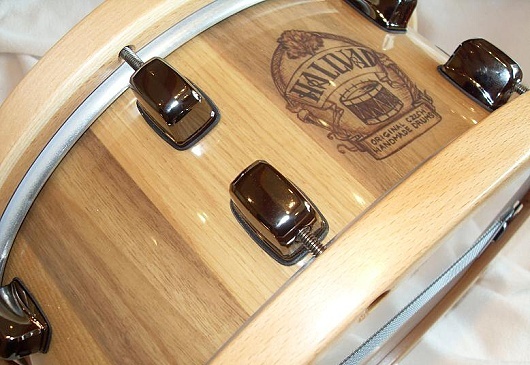 These drums are equippped with wooden hoops and mostly wooden shells too. We manufacture drums from carefully chosen materials by the technology of glued vertical solid blocks, and practically from any wooden types. Thanks to this technology only a small amount of glue is used during the manufacture, which enables the natural sound spectrum of solid wood to come out, and without any limitations (unlike to the technology of layered thin-walled materials). 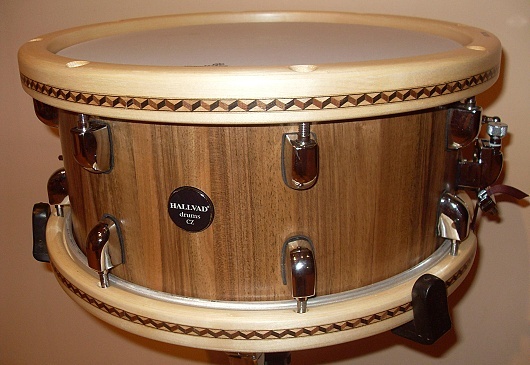 We made also modifications and repases of older drums; we provide them with wooden hoops, which have warm-hearted woody sound and much more possibilities of delicate tuning comparing to metal hoops, or new surface modifications. An individual attitude to every musician is regarded as a fully 100%-commonplace. We make a great effort to satisfy even ´´the most crazy´´ requirements. 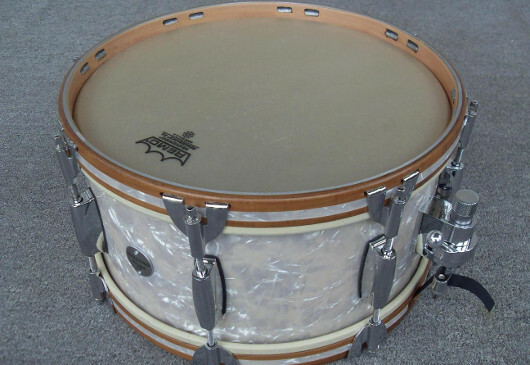 Among our customers we have drummers of all possible music styles from jazz to metal. Every drum from our production is an absolute original; in spite of this, all our products resemble one another mainly by their ability to go with the requirements of every player extra. Thanks to massive body, the tuning gamut is really wide and so everybody finds his sound. We believe that the Hallvad products will give you exactly what they should – refined rapaciousness, extravagance veiled in an elegant robe, harsh and silky tone at the same time. 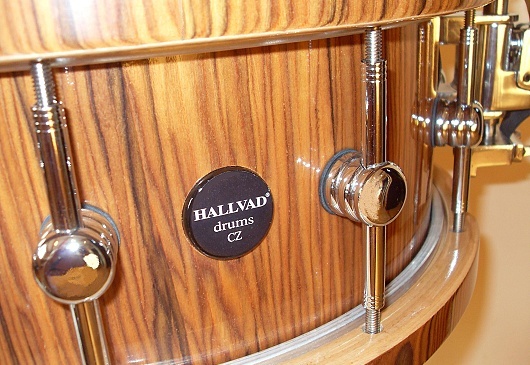 Hallvad Soundblock 2012-03-08 New product in the percussion category. DC-drums drumset 2011-10-09 Hallvad wooden hoops were used on DC-drums Custom Shop drumset.